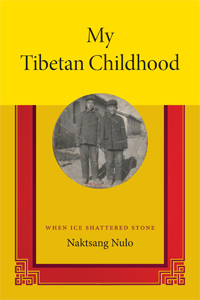 “A Tibetan Childhood: When Ice Shattered Stone” by Naktsang Nulo features on our Summer Reading List and Naktsang Nulo’s thoughts on the self-immolations in Tibet were posted on High Peaks Pure Earth in February 2013. Please note that according to the Duke University Press and Amazon, the book is not available to buy until the end of the year (pre-ordering is available). Thank you to Jonathan Mirsky for contributing this book review. Jonathan Mirsky is a journalist who went to Tibet six times between 1982 and 1988. He is a regular contributor to New York Review of Books. Some books lure us into new lives and unexpected worlds. Here, the person is the author himself, Naktsang Nulo, a Tibetan born in 1949 and writing in this memoir of his childhood in western China where many Tibetans live, speaking, and writing a dialect incomprehensible to Tibetans in Western and Central Tibet. The idyllic-sounding grasslands known to Tibetans as Amdo and Kham, a six-month trek from Lhasa in the early Fifties, were, in those days, lightly administered by Peking and populated mostly by Tibetans. Little Nulo lived in Amdo, under the rule of clans and chieftains. Known as Eastern Tibet, nowadays over half of all ethnic Tibetans live there. He became a minor Chinese official and still lives in the Tibetan region. There is no other such an apolitical book, known to me, by a Tibetan living and working in Tibet. His story, properly published and originally intended for 3000 internal readers, soon rocketed into thousands of pirated copies, eventually published in standard Tibetan, and then, in Taiwan, in Chinese. 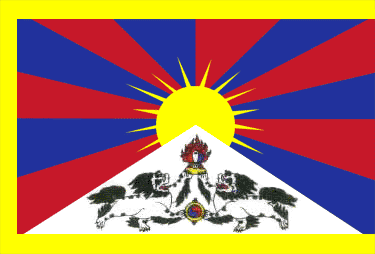 Neither the Chinese nor the Tibetan diaspora will be able to claim that Naktsang’s memoir accords with their conflicting views of the nature of Tibet and its people – although official Chinese will dislike it more because it makes plain the cruelty of their soldiers during the later Fifties. If Columbia University’s Robert Barnett had not supplied the substantial and informative introduction, however, many readers, including this one, would not have understood the many levels of what seems like a child’s story. Because of Mr Barnett’s essay however, which places this story in the tradition of literature from Amdo, where the child Nulo was born and lived, I have not only understood what I was reading, but for the first time, as an adult reader, was willing to overlook the verbatim dialogues that allegedly occurred decades ago, including when the author was still at his mother’s breast. Naktsang insists every word of the memoir is true. In this unique case, persuaded by Mr Barnett, and probably never again when faced with 40 year-old total recall, I did not lay the book aside after twenty pages. But “My Tibetan Childhood” is most persuasive when the author is describing places and events rather than exhibiting his extraordinary recall of speech. “Among humans, lamas, chiefs and leaders eat yoghurt, meat, and butter and honey, without needing to do any work at all. They wear silk brocade and lambskin robes… They sit on carpets and have horses to ride on their journey… They consider themselves to be very happy. A nomad family in a black or white tent may be fortunate in sheep, yaks and horses. They ride a horse as swift as a bird, and their gun fires like lightning when they go to rob lesser chieftains… and think they are very happy. Even a beggar… considers himself happy when… he manages to scrounge some food for his family from other households.” For Nulo, people and events were either good and kind, or cruel. Accused of having ridden his horse in the sacred part of a monastery, his father receives 1500 lashes from monks. For the most part killing is taboo, except when very hungry or in danger. Life centres on the local monastery and its monks, on playing simple games, longing for his dead mother and his birthplace, and loving his father, older brother and the many women who love and protect him as their own. He has little to do with the Chinese until he is about ten when they act brutally, often aided by their equally savage Tibetan allies. There is a lot of death around, much of it natural; wolves and bears must be avoided. But humans and animals can die at any moment and unless death is unusually brutal, the little boy equably sees it as karmic, although he begins to doubt the overwhelming power of karma. Lhasa, after a six-month pilgrimage led by the boy’s father and imperilled by wolves and bears, appears chaotic despite its sacred temples and monasteries, some of which would be destroyed soon after the Dalai Lama’s flight to India in 1959. He sees Ganden Monastery, an especially sacred monastery and temple site, filled with monks. When I saw Ganden in the mid-Eighties, it had been destroyed by the the Chinese occupiers. He also has a brief audience with the young 14th Dalai Lama; then, as he does to this day, he greeted the little boy by pressing their foreheads together and laughing.